Mount for Vesa 75 mm, made of aluminum. 5 sets of Vesa holes. 1 set of AMPS holes for mounting of Brodit holder. 4 nuts and bolts included. 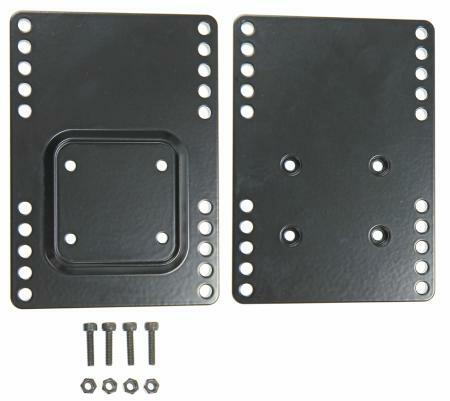 The Vesa mounting plate enables you to mount your monitor onto e.g. a Pedestal Mount solution. The plate has 5 sets of Vesa 75 mm holes. There are also AMPS-standard holes fitting onto all square top parts for adjustable Pedestal Mounts as well as Brodit holders with tilt swivel.